OZCF Market Day every Saturday 9am to 2pm and Sunday 9am to 3pm (all weather). Pick your own harvests are Saturday mornings at the OZCF farm itself. Subscribe to the newsletter or watch the OZCF Facebook group for details. 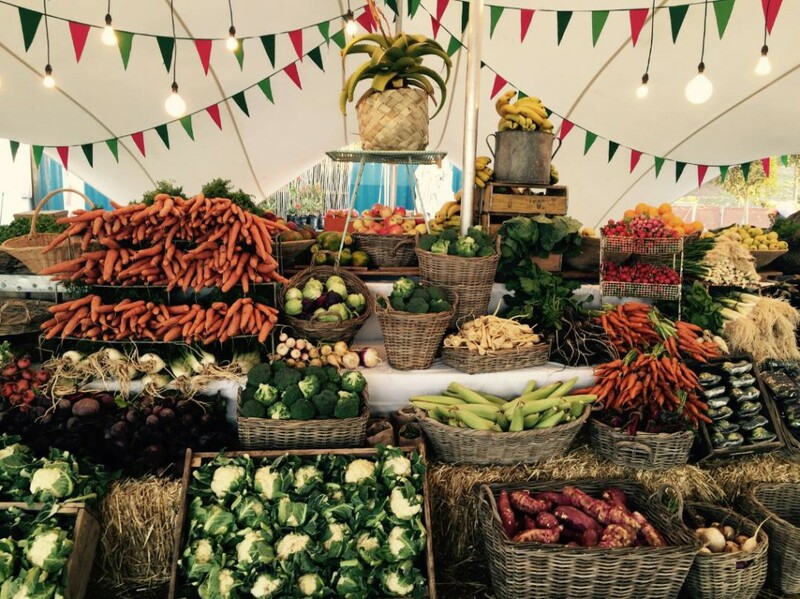 Held every Saturday and Sunday at the historic Granger Bay site of the V&A Waterfront, the OZCF Market Day is a community farmers-style market for independent local farmers and artisanal food producers. At the OZCF Market customers can do weekly food shopping (veg, fruit, bread, organic dairy, free-range eggs, honey, muesli etc), try out some delicious cooked and raw foods and be inspired about helping to build an alternative food system. Additionally, customers can buy edible plants and seedlings, compost and gardening supplies and equipment. Entrance: There is no fee to enter the market. Pedestrian entrances are open directly from Beach Road, and cyclists, joggers, dog walkers and others are most welcome. Public transport: The MyCiTi 104 route stops opposite the market on Beach Road and at the main V&A Waterfront stop. The T01 also stops there, as well as on Granger Bay Blvd a block from the market. 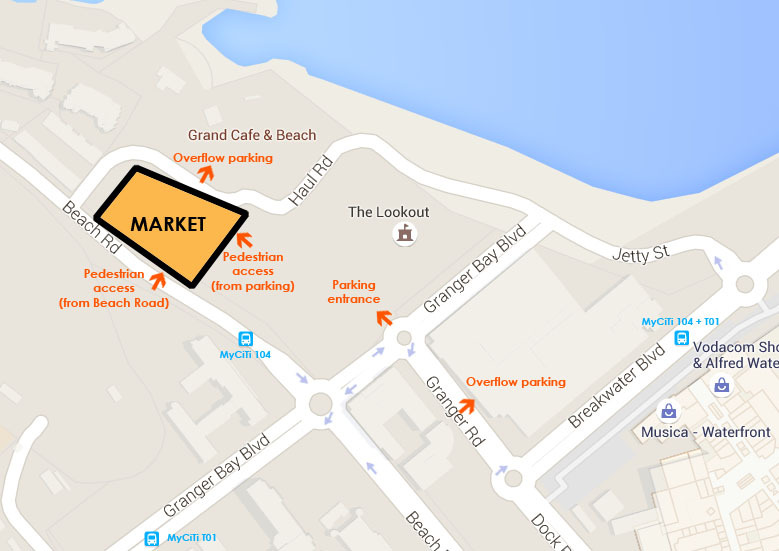 Parking: 350 parking bays are available adjacent to the market. Parking is charged by the V&A Waterfront according to their tariffs, starting with R10 for the first hour. Be considerate – not everyone loves dogs and some customers are allergic to animals. Don’t forget to clean up after your dog. OZCF management reserves the right to request that owners remove a dog from the market if the above requests are not being adhered to. Traders make every effort to create links between urban farming, Cape Town’s history and heritage, and a sense of place, through labelling, using seasonal produce, etc. Educational talks and events are linked to the market and there are plenty of activities for kids such as story telling, planting, craft, yoga and more. Stallholder costs are kept as low as possible to encourage start up businesses, the vibe is friendly and supportive. Catering for vegans and vegetarians, raw foodies, and customers who want wheat, gluten, sugar and dairy-free alternatives is important to us. We also sell indigenous and other plants, heirloom and organic seed and gardening products. OZCF Market Day received the South African Heritage Award in the 2014 Eat Out Zonnebloem Produce Awards. While the Farm founded and operated the Market for years in a non-profit capacity, from 1 December 2017 the Market was sold and has been operating as an independent private company using the OZCF brand under license. The Market and the Farm continue to work together closely. At the AGM of the of the Oranjezicht City Farm Non-Profit Company (NPC), held at the end of August 2017, the members of the NPC agreed that the best way forward for the Market Company was to release it to an entrepreneur. The model of the market being conducted in the Market Company, which was wholly owned by the Non-Profit Company (The Farm) NPC, was deemed not to be sustainable going forward. The reason for this was that the Market Company grew into a full-scale business requiring significant entrepreneurial and creative flair, business skills, resources, logistics, management and operational support, including finance. The board undertook a process of valuing the Market Company, engaged with carefully selected short-listed potential buyers and distributed a proposal document to interested bidders. This process resulted in the purchase of the Market Company by Sheryl Ozinsky and Caz Friedmann, who have been running the market for the NPC since its move from Homestead Park in 2014 until the conclusion of the sale effective 1 December 2017. We are sure that the outcome will serve to strengthen and sustain the Market Company and ensure that it grows and develops into one that continues to serve its customers, farmers and traders alike.